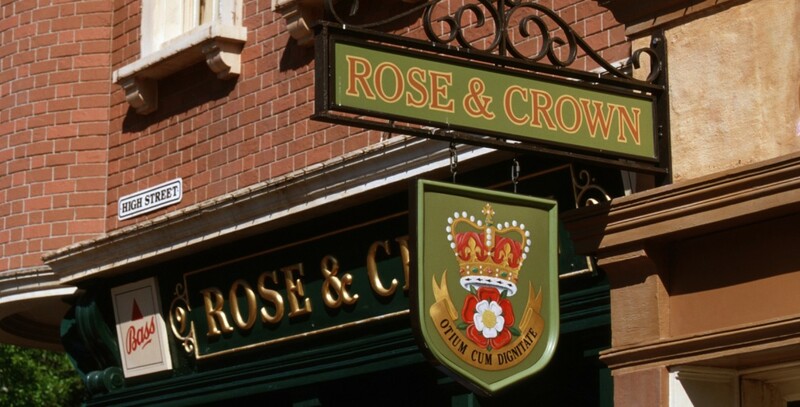 Rose & Crown Pub & Dining Room Restaurant in United Kingdom in World Showcase at Epcot; opened on October 1, 1982. For those who like fish-and-chips or steak and kidney pie, with trifle for dessert, this is the place to go. In the pub section, you can order your English ale or stout. The Rose & Crown combines the styles of several kinds of pubs, from the normal streetside ones in the cities and country towns to London’s famed Ye Olde Cheshire Cheese.